The former Secretary of the National Union of Ghana Students-UCC has indeed proven that one can be an all-round success. He has demonstrated that being a student leader does not automatically correlate with decline in academic performance. 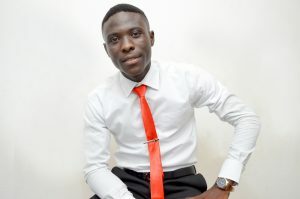 Opoku Agyemang Emmanuel, Known as SMART in UCC student politics, is also called BOBBY(BOBILINKIN) by his SHS colleagues. 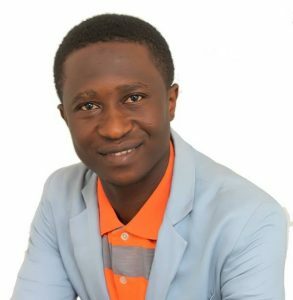 He was indeed an influential and dedicated student leader who served in various demanding capacities and yet maintained a steady CGPA finishing with a 3.9. A proud Casfordian, he demonstrated hard work right from his first semester. Leading marginally in CGPA, he was nominated for an exchange programme after his first year with 3 others(including the winner of this year’s overall best graduating student). He could not meet the financial requirements and turned down the offer. He was also called with two others for the best students in Chinese Language award. They were the first batch to do Chinese Language as a Liberal Course. Burning with leadership potentials he chose to develop his leadership skills and talents. He served on the SRC editorial board under Mr David Boakye’s administration and produced the combined edition of the SRC Magazine. He was a committee member (information and publicity) who served on two demanding committees at the same time. He challenged the status quo and proved to students of UCC that when it comes to leadership, the position of the secretary is not feminine. Attempting what seemed like an impossible task, he defied all odds and won the elections to becomes the first males secretary of the NUGS-UCC, at least from 2010. Prior to his exploit, students highly tagged the position of the Secretary as feminine- an exclusive preserve of ladies.His victory inspired the likes of Appolos and the current OGUAA hall secretary to venture into the race. He adopted a strange strategy in his campaign. He campaigned with his CGPA. I don’t want to say that his Strategy was bad because it worked for him anyway. His CGPA then was 3.95. To me, that looked abnormal. Why would he want to waste that time on student politics. As far as we know, most student leaders drop heavily in their CGPA. SMART has proven me wrong. He guarded it and left with 3.9. 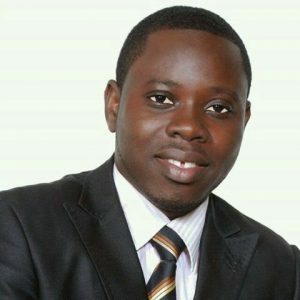 He was also appointed as the deputy editor in Chief of the SRC Magazine by the then Acting SRC President, Mr Kwabena Aurthur. He served in this capacity at the same time when he was the Secretary of NUGS. He served as a Recorder on the SRC STRATEGIC PLAN COMMITTEE which was very dear to the heart of the Dean of Students. I was privileged to work with him as a member of the the Editorial Board. SMART was again very active at the departmental level. 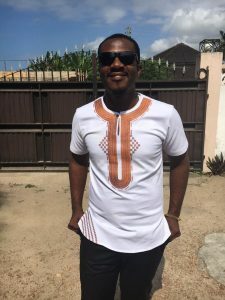 He was a member of the vetting committee and the Electoral Commissioner of the Psychology Students Association for the 2014/2015 academic year. Humility is a virtue you would always see with him. He worked closely with the SRC secretary and availed himself to the then Acting SRC President when tension within the SRC heightened. He was always ready to serve. I must say that he continues to be the secretary of NUGS-UCC(not official) because he was the only leader who did not hand over due to constitutional challenges which confronted the SRC. Sharing his experiences with me he recounted how he was privileged to meet big personalities he ordinarily wouldn’t have been privileged to meet. “it was such a delight interviewing the finance minister, Mr Seth Terkper, the deputy governor of Bank of Ghana, Mr. Millison Narh, the Chairman of UCC governing council, Nana Sam Brew Butler, Dean of school of Physics and Best engineer in Africa, Prof. S.Y Mensah, former boss of College of Distance Education, Mr. Albert Koomson, and the Dean of Students, Prof Kwawo Edjah. He also shared how he travelled for congress under NUGS to meet student leaders across the country to deliberate on pertinent student issues. On church activities, he had this to say “I was also committed to the things of God. A member of PENSA and an associate of ROSA. I used to attend two services on Sundays for both denominations and a number of mid week meetings. I was the musical keyboardist of ROSA so I couldn’t afford to miss their meetings. I spent a number of hours rehearsing with the choir at ROSA and visiting PENSA members with my coordinator in Amamoma. I gave myself in everyway”. When asked how he felt after graduating he said “I believe I haven been an all round success. I built myself in every way possible “. “That would have been wow. But I believe I’m there all the same because it was my department which won. From level 100 it was my target to finish that way and you could see it from how strong I built my CGPA. Somewhere along the line I modified my goals. I did not make that my ultimate. There was so much I could do so I decided to concentrate on all areas of my life. My social life was poor. Academic excellence comes with price you know. I decided to keep my CGPA around 3.9 for further studies but focus on leaving a name for myself apart from being the best student. The fact is that I was getting anxious. No grade satisfied me apart from A. Getting below 15 in quiz troubled me greatly. I decided to modify my expectations to minimize anxiety. My name shall always be in the SRC magazine as an editor for decades. That’s a permanent record. I have established my name already . SMART is a common name now. People call my name everywhere, connect with me on social media and receive from my experience. Building my image this way rather became my ultimate. I was still doing fine until I encountered a problem in a course which took the points from from my 3.95. Just one course. I wish to congratulate my brother Jonah for restoring that glory to our department. When I heard of rumours that an actuarial science student was set for it I was disappointed. I thought we had run in vain.I sighed with relief when he took it. It was keenly contested. About five of us had a CGPA of 3.9 this year. It was a matter of a 2 decimal place difference. It is not a matter of who is the best, but who deserves the crown. Only one person can have it at a time. Jonah believes in my abilities and knows me to be best at what I do. I have long been inspired by his unflinching determination. I wish to congratulate my good friend Kofinti Comfort, a very hard working student who also finished with 3.9 as the best in the department of basic education. She was among the four of us who were nominated for the exchange programme. I wish to acknowledge my good friend Mr Robert Ubindam who has been very influential in my exploits. You get to know the good in you when you meet the people. My message to student leaders is that it is very possibly to be balanced in your endeavours. Don’t get so much involved in leadership and neglect your academics. Your position ends here but your “class” is for life. Story by Abdul Karim Mohammed Awaf.